After IHC President Dixie Christensen called meeting to order, roll call was taken and motions carried to approve the November 17,2018 minutes as amended and the special director meeting of December 27, 2018. The following guests and IHC membership representatives were introduced and welcomed: Randi McCallan- AQHA, Ann Martin- 2019 IHC Organizational member SCGH, Rhonda Gundert (Kimberly Kvamme’s friend), DeEtte Lindberg- IHB Executive Director, Dan Tackett, and Sabina Amidon- 2019 IHC Individual Member. 1. Treasurer’s Report & Financial Summary presented. 2. Hiring of Executive Director- A committee was formed. Director input on what an Executive Director should do for the IHC. Please respond to committee email requests. IHC has temporarily hired a temporary secretary. 3. Please welcome and congratulate Cheryl Keshian as the IHC 2019 2nd Vice President. 4. Janine Townsend discussed Horse Statue. Cost could be $2,500- $3,500. Sabrina Amidon has one for the IHC to borrow temporarily. Janine will handle getting this horse to the 2019 Expo. 5. DeEtte Lindberg, Idaho Horse Board Executive Director, gave update. Senator Patti Anne Lodge working to present draft bill to increase equine fees. The Forest Service has completed the Environmental Assessment (EA) for the South Pioneer Fire Salvage and Reforestation Project and is seeking public comment on this EA during the 30-day notice and comment period. The South Pioneer Project is located in Boise County approximately 18 miles northeast of Idaho City, Idaho, and 48 miles northeast of Boise, Idaho. The Project Area covers approximately 39,100 acres in the Boise River watershed. The EA is available on the Project web page: https://www.fs.usda.gov/project/?project=50694. If you would prefer a hard copy of the EA, please contact John Riling, Team Leader, at jriling@fs.fed.us or by phone at 208-373-4171. A summary document containing the Agency’s response to comments received during the February 2017 scoping period is also available on the project website. The South Pioneer Fire Salvage and Reforestation Project proposes cutting hazard trees along NFS roads and trails, reforesting areas, decommissioning unauthorized routes, and salvaging additional trees killed by the wildfire to recover economic value to support restoration work. Salvage harvest activities are anticipated to begin in early summer 2017 and be completed by the end of the 2018 operating season, while activities such as reforestation would continue for approximately 10 years. Immediate implementation is essential to successfully accomplish project purpose and need (e.g., address hazard trees that pose risks to public health and safety this next recreation season). Therefore, the Boise National Forest will request an emergency situation determination (ESD) to facilitate immediate implementation of the proposed activities during the 2017 field season. Only the Chief and Associate Chief of the Forest Service may grant an ESD (36 CFR 218.21(a)). An emergency situation at 36 CFR 218.21(b) is defined as follows. 3. Avoiding a loss of commodity value sufficient to jeopardize the agency’s ability to accomplish project objectives directly related to resource protection or restoration. If the Chief decides this project qualifies for an ESD, the project will be exempt from the pre-decisional objection process (36 CFR 218). This exemption will allow us to implement the project as soon as the environmental analysis is completed and the decision is signed. Providing for immediate implementation following completion of the environment review allows the Boise National Forest to remove hazards safely, complete associated resource protection/restoration projects, and capture enough commodity value to market some of the trees. Often, if material proposed for removal cannot be sold, many of the project’s objectives cannot be met. We recognize the importance of the public involvement process for this project and am aware that, should an ESD be approved, the expedited emergency procedure alters the structure of that process. Thus, as has been done since the fall of 2016, I will continue to employ a variety of communication options to share and receive information from interested parties. Visit the Pioneer Fire website at: https://www.fs.usda.gov/detail/boise/home/?cid=fseprd530485 for up-to-date information. The Forest Service is contacting interested persons, groups, and agencies to make them aware of the project and to gather pertinent feedback. To be most useful, please make your comments as specific as possible. Electronic, written, hand-delivered, and facsimile comments concerning this project will be accepted. Comments may be submitted through the South Pioneer Fire Salvage and Reforestation Project webpage at https://cara.ecosystem-management.org/Public//CommentInput?Project=50694. Email comments must be submitted in a format such as an email message, plain text (.txt), rich text format (.rtf), Adobe (.pdf) and Word (.doc) to: comments-intermtn-boise-idaho-city@fs.fed.us. Please put “South Pioneer” in the subject line of e-mail comments. Comments must have an identifiable name attached or verification of identity will be required. A scanned signature may serve as verification on electronic comments. Written comments must be submitted to: Boise National Forest, Idaho City Ranger District, Attention: Brant Petersen, District Ranger, 3833 Highway 21, P.O. Box 129, Idaho City, Idaho 83631 or faxed to (208) 392-6684. The office hours for those submitting hand-delivered comments are: 8 a.m. to 4:30 p.m. Monday through Friday, excluding holidays. 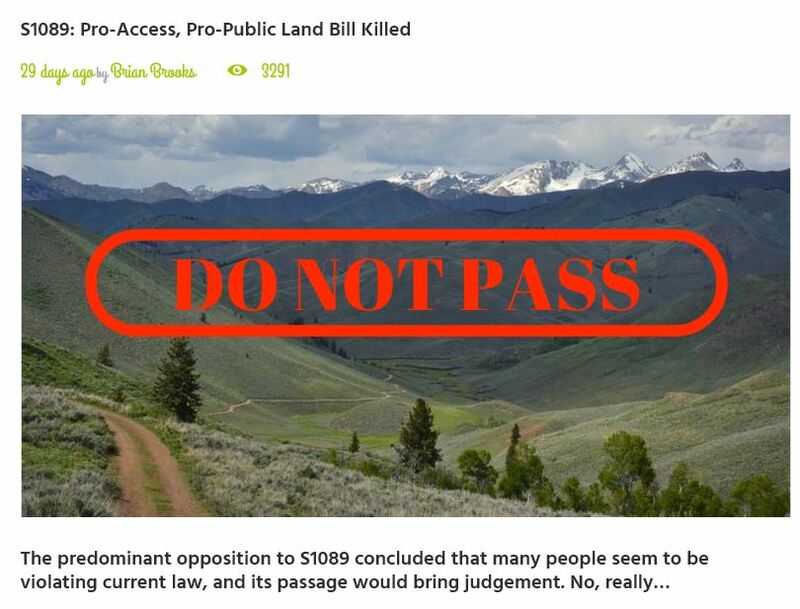 Comments received in response to this request will be available for public inspection in the “Public Comment Reading Room” on the project webpage and will be released in their entirety, if requested, pursuant to the Freedom of Information Act. Written, facsimile, hand-delivered, and electronic comments concerning this action will be accepted for 30 calendar days following the publication of the legal notice in the Idaho Statesman, the newspaper of record. The publication date of the legal notice in the newspaper of record is the exclusive means for calculating the comment period. Those wishing to comment should not rely upon dates or timeframe information provided by any other source. The regulations prohibit extending the length of the comment period. The legal notice will be posted on the project website within 4 calendar days of publication in the newspaper of record. To assist the Forest Service in meeting its goals of reducing our carbon footprint and to achieve a sustainable operation, we are transitioning to a web-based electronic comment system that allows all interested parties to receive project material (project updates, draft and final NEPA documents, and decisions) by e-mail. This new system gives you direct control over which mailing lists you are subscribed to and immediate electronic access to project documents as they are posted online. It’s easy, it’s good for the environment, and it gives “on-demand” access to projects. To subscribe to this new system, go online to the South Pioneer Fire Salvage and Reforestation Project webpage: https://www.fs.usda.gov/project/?project=50694. On the project website, you will see a box titled “Get Connected” on the right hand side of the page. Click on “Subscribe to Email Updates”. When you click on that item, you will be prompted to provide your e-mail address and select a password. When you have logged in, you will be able to manage your account by subscribing to projects by Forest, District, project type, or project purpose. You will also be able to change your e-mail address and password. If you no longer wish to follow the project(s), simply delete your subscription. Once you are subscribed, you will receive all project information via e-mail, unless you request hard copies. Only those who subscribe to the mailing list, submit comments, or notify the Forest that they would like to remain on the mailing list for this project will receive future correspondences on this project. Comments submitted anonymously will be accepted and considered; however, without an associated name and address, receiving further correspondences concerning this project will not be possible. For further information on the project, please contact Brant Petersen, Idaho City District Ranger at 208-392-6681 or bpetersen02@fs.fed.us, or John Riling, Team Leader at 208-373-4171 or jriling@fs.fed.us. This is the draft letter of our response to the HEMINGWAY -BOULDER AND WHITE CLOUD WILDERNESS MANAGEMENT PLAN. If you have any further comments send them to me and copy Phil Ryan. If you previously sent comments to Phil put those in letter form and send to the USFS. NOTE: Your letter must include and alternate solution to your objection or they will not look at it . The comment period deadline is Jan. 31st . BOISE, Idaho (AP) – A draft plan unveiled Monday for two recently created Idaho wilderness areas prohibits campfires at high elevations to protect whitebark pine and eliminates horses and other recreational stock in some areas to protect alpine soils. The U.S. Forest Service and U.S. Bureau of Land Management announced the availability of the 67-page document intended to guide management of the 138-square-mile Hemingway-Boulders Wilderness and the 142-square-mile White Clouds Wilderness, both in central Idaho. The agencies say the goal is to manage the areas for recreation and other activities while preserving wilderness character. The ban on campfires above 9,000 feet with some exceptions is intended to protect whitebark pine as well as snags and downed trees at high altitudes where firewood is scarce and living trees become targets. The ban on horses and other recreational stock applies only to a portion of the White Clouds Wilderness, in part to protect riparian areas. Dani Mazzotta of the Idaho Conservation League said 60 volunteers over the summer documented high-use areas, trash removal and wildlife sightings. She said the information was turned over to the federal agencies but it’s not clear if it was included in the draft plan. “We’ll be diving into the wilderness plan in the next couple weeks,” she said President Barack Obama signed the Sawtooth National Recreation Area and Jerry Peak Wilderness Additions Act in August 2015 after Republican Rep. Mike Simpson of Idaho got ranchers, recreationists and environmental groups to back the plan. Simpson had been working on wilderness designation for 15 years, but some groups upset with the delay pushed Obama to designate a much larger area a national monument. That possibility is widely believed to have led to the wilderness bill passing despite opposition, particularly in rural Custer County where some of the wilderness area is located. “A lot of people are upset with the fact that I didn’t call their bluff and see if they turned it into a monument,” said Custer County Commission Chairman Wayne Butts, noting he and the two other commissioners didn’t want to take that chance and signed on with Simpson’s bill. He said that among the problems with the draft plan are negative comments about grazing cattle, a use specifically allowed as part of the compromise deal reached to create the wilderness areas. The law also allows for the retirement of grazing allotments, and Thomas said one allotment has already been retired that overlapped a part of the White Clouds Wilderness. 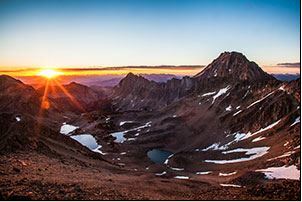 The central Idaho wilderness areas created with Obama’s signature in 2015 also include the 183-square-mile Jim McClure-Jerry Peak Wilderness. Federal officials say the management plan for that area, which involves a different national forest and more BLM land, is being completed in a separate planning effort. 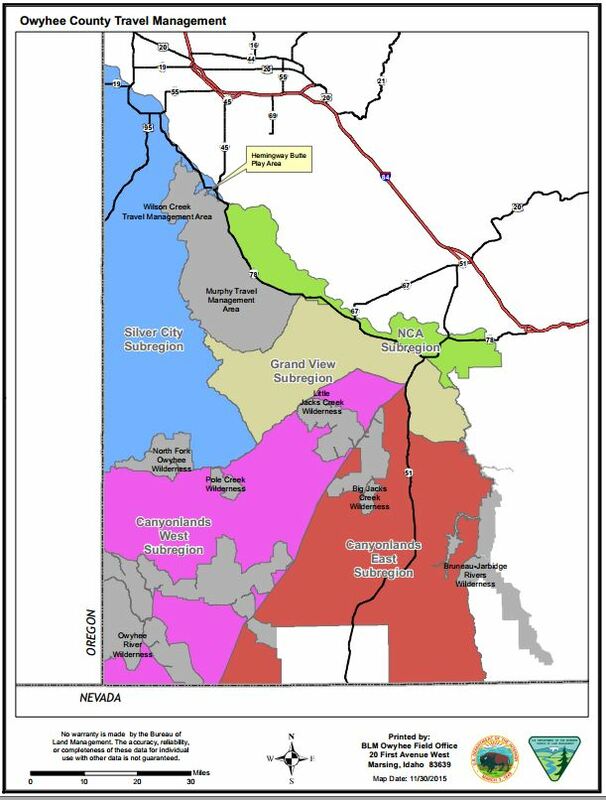 Public meetings to discuss the plan for Hemingway-Boulders Wilderness and White Clouds Wilderness are set for Dec. 5 in Challis, and Dec. 6 in Stanley and Ketchum. 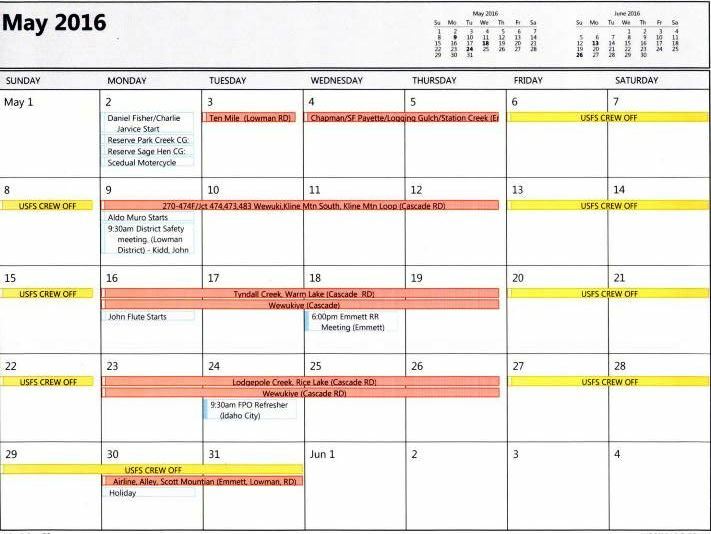 Public comments are being taken through Jan. 5, with a final plan expected to be released in the spring. Sawtooth National Recreation Area and BLM Challis Field Office Seek Comments regarding the Hemingway-Boulders and White Clouds Wilderness Management Plan Ketchum, ID – The Forest Service and Bureau of Land Management are announcing the availability of the proposed wilderness management plan for the Hemingway-Boulders and White Clouds Wilderness areas. A wilderness management plan guides the preservation, management, and use of wilderness to ensure it is unimpaired for future use and enjoyment as wilderness. The draft wilderness management plan provides direction for managing the resources and uses within wilderness: recreation, search and rescue, research, wildlife, vegetation, while preserving wilderness character. You may also request hard copies or CDs containing the document by contacting the Sawtooth National Forest Office at 208-737-3200. Challis, Idaho: December 5th, 5-7 p.m. at the Forest Service Office, 311 N. US Hwy 93. Stanley, Idaho: December 6th, Noon-2 p.m. at the Stanley Community Center, Hwy 21. Ketchum, Idaho: December 6th, 5-7 p.m. at the American Legion Hall, 220 Cottonwood Street. The draft wilderness management plan proposes restrictions on two uses in certain portions of the wilderness areas: recreational stock and campfires. Click on headings for location details. 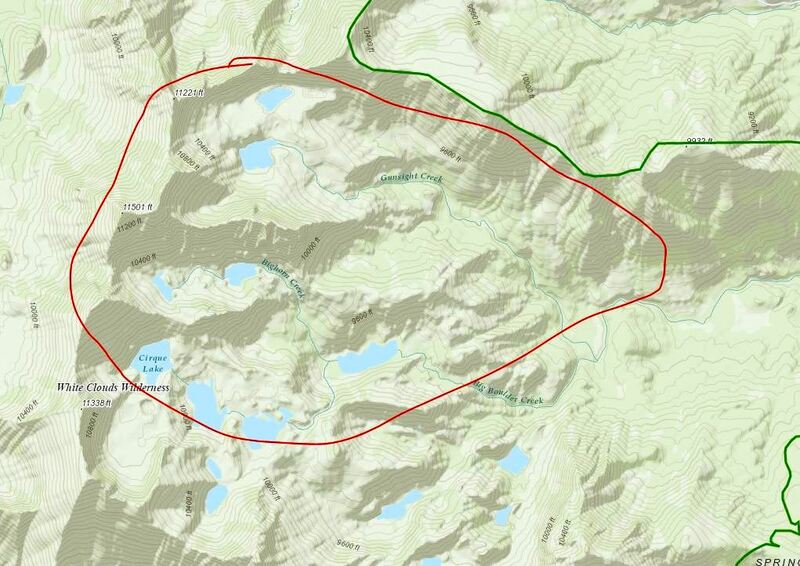 Limitations on are proposed on recreational stock use above Lodgepole and Quiet lakes, within Gunsight Creek, and within the Big Boulder drainage, excluding Walker and Island lakes. These limitations are proposed to protect fragile alpine soils and vegetation, including sensitive whitebark pine trees, riparian processes and aquatic biota. I am a member of the Selkirk Valley Chapter of the Idaho Backcounty Horsemen. 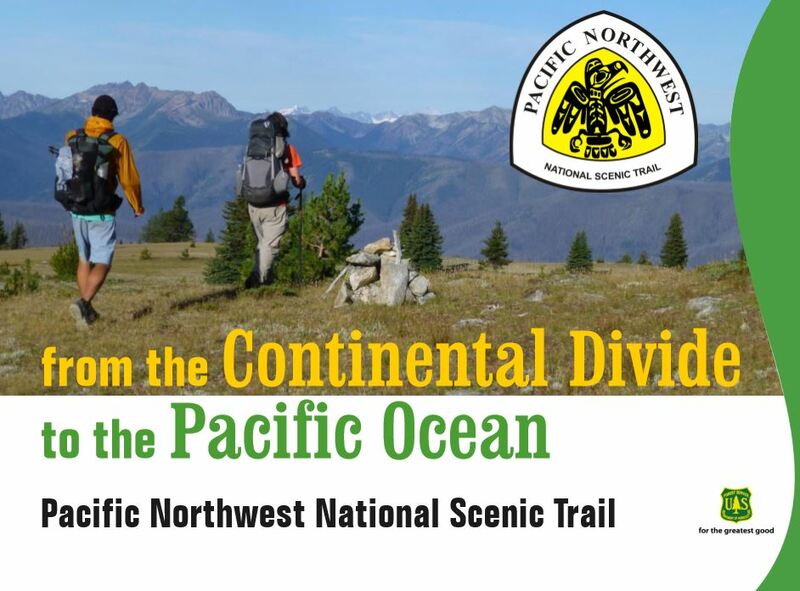 and also a member of the newly established Advisory Council of the Pacific Northwest National Scenic Trail which held its first meeting in October 2015 in Sandpoint, Idaho and the next one will be in May 2016 somewhere in western Washington with subcommittees meeting between now and then. On the Council I represent the interests of Recreational Pack and Saddle users. 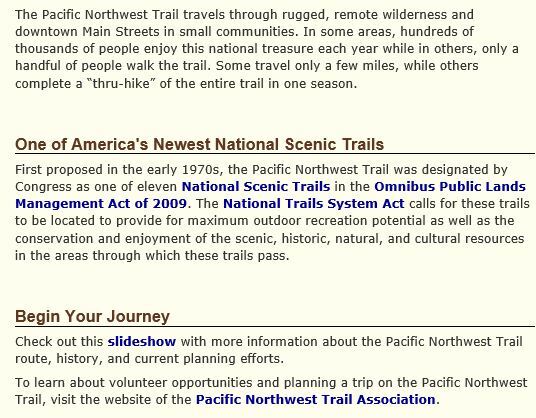 The planning process of regulating the trail is just beginning and it behooves all those who desire input to become familiar with the history and background of the PNT so as to effectively participate in the meetings as all are open to the public. The Black Hills region can be described as perfect horse country. It’s the reason many people come here to live. And many of those people have become a part of an organization working to preserve the Hills as a good place to take a horse. Black Hills Fox Reporter Al Van Zee has the story. Access to wilderness areas in the U.S. is becoming more and more difficult as more and more back-country roads are closed to motor vehicles, especially in the country’s National Forests. So more and more people, and especially people who have difficulty walking rough terrain, are coming to realize that many wilderness areas are simply inaccessible except on horseback. The Back Country Horsemen of America is made up of many such people. And the group is held it’s national convention in Rapid City this week. One of the stated goals of the organization is to insure that public lands remain open to riding and to help government and private agencies maintain the back country assets.Addressing the convention in Rapid City this afternoon was South Dakota Senator John Thune, who related his own western South Dakota upbringing where horses and horseback riding were a large part of the way of life. The horse culture is tightly encoded in the DNA of the Black Hills. And its history goes all the way back to the first horses brought here by Native Americans hundreds of years ago. 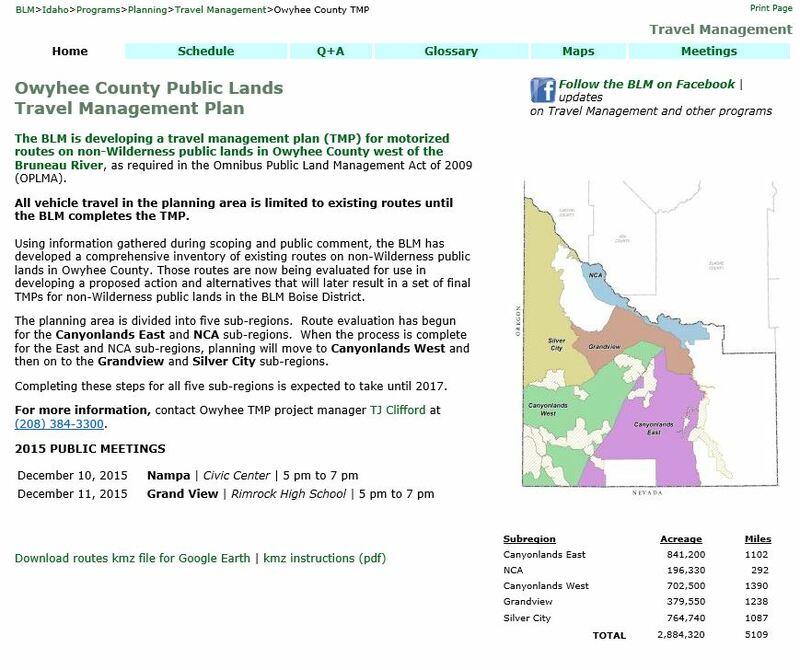 And the Back Country Horsemen say they want to make sure the Black Hills area remains horse country. Here is the report from the Cate Bradley, National Park Service, from the panel discussion at the International Trails Symposium. I asked the presenters from the National Park Service, the BLM and the USFS to discuss the future of maintenance on America’s trails…as federal funding for trails becomes more and more limited from all federal agencies…and how youth corps, volunteers, and organizations can help fill the gap anticipated for the future. Forwarding to the National Directors as promised in my Vice Chair report. As some of you may know, Rick McLean resigned yesterday as our Executive Director. In the process of a week of discussions and emails between Rick and myself, Rick felt that the evolving job description of the Executive Director to emphasize fund raising was not what he had signed on for with the BCHA. Priorities change and the momentum needed to grow the BCHA to meet the ever increasing challenges we face require fund raising efforts. We thank Rick for his tenure with us and wish him well with his family and trail riding time. Going forward, with the guidance and agreement of our Executive Committee; 1) the Chairman will temporarily assume the duties of the Executive Director position, and; 2) use the monies in that position’s 2013 budget to cover the expenses of the fund raising effort, and; 3) begin a deliberative search to fill the Executive Director position possibly to commence with our 2014 budget. Again, all this in coordination with Executive Committee. The Idaho Forest Restoration Partnership connects, informs, and supports collaborative groups working to restore the resilience of Idaho forests. The Partnership is a coalition of six 501(3)(c) organizations; SAF Snake River Chapter serves as fiscal agent. 1.In Idaho’s forests, strategic forest restoration is essential to address the current challenges posed by uncharacteristic wildfire, insects, disease and climate change. 2.Active management is needed in some areas of public forests to restore their resiliency. 3.A healthy forest industry is an important and necessary part of a restoration strategy to offset restoration costs and to provide jobs and economic stability in rural communities throughout Idaho. Boise Forest Coalition & Payette Forest Coalition both accomplished a lot in 2011 and are forming working groups for 2012. See page one for instructions on how to comment on this proposed action report.